It's not quite pizza on tick, but you can now order Domino's via a smartwatch, as the delivery company maintains its obsession with being everywhere its consumers are. Domino’s has created an app for Pebble and Android Wear smartwatch users, which allows them to place and track their order. They must already have a Pizza Profile with a saved EasyOrder or recent order. 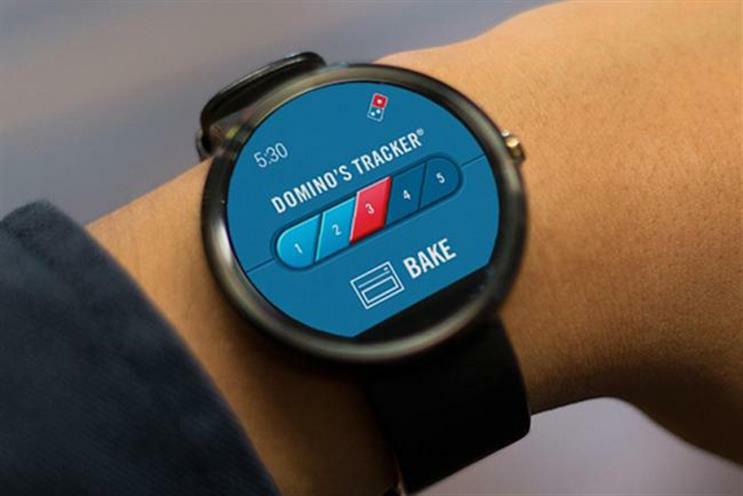 Kevin Vasconi, Domino's Pizza chief information officer, said: "Pairing Domino's with smartwatch technology couldn't be more of a natural fit. "We are constantly looking for ways to use technology to enhance our customers' experience and provide them with more convenience." The development comes amid Mobile World Congress, where smartwatch specialist Pebble showed the latest versions of its models, and ahead of Apple’s expected unveiling of its Apple Watch on Monday 9 March. View the video demo of Domino’s smart watch pizza ordering app.